The Scottish Football Association has been contacted by the National Crime Agency about a match-fixing threat to Wednesday's friendly against Nigeria. 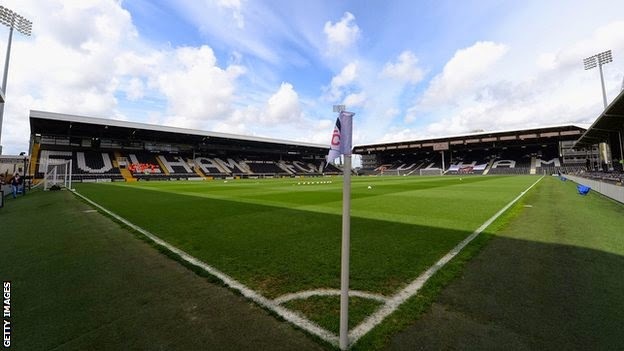 Scotland are playing Nigeria at Fulham's Craven Cottage ground. The SFA has released a statement saying it is liaising with the relevant authorities and is preparing for the match as normal. Leading bookmakers contacted by BBC Sport say they are unaware of any specific threat to the game. While they are exercising extra vigilance for any suspicious betting patterns, a spokesperson for one bookmaker said: "We've seen no evidence of the reported issues and we wouldn't expect to. "This sort of activity will be executed in the illegal betting market, and is unlikely to be seen in the UK or European regulated sector." The BBC has learned that no Scotland players are under suspicion. It is also understood a number of other friendly matches on Wednesday have been highlighted as games potentially at risk. A spokesperson for the NCA explained: "The NCA will from time to time provide operational detail necessary for public reassurance purposes. "It does not routinely confirm or deny the existence of specific operations or provide ongoing commentary on operational activity." Football's world governing body, Fifa, added in a statement: "We are aware of the claims published recently. "Generally speaking, we are not in a position to comment or provide information on any match-manipulation investigations that are ongoing so as not to compromise investigations, nor do we provide any comments as to whether or not any investigations are under way. "It would only be after a decision has been taken by the Fifa disciplinary committee or Fifa ethics committee and first notified to the parties concerned that Fifa would be in a position to communicate the contents of that decision publicly." News of the threat came as a shock to Nigeria defender Efe Ambrose, who plays for Scottish champions Celtic. "I'm surprised, just like everyone," he said. "This kind of thing is not good, but I don't think something is going on around this game."